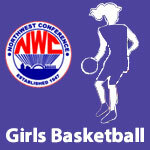 February 2014 – NWC-Sports.com | The Official Site of the Northwest Conference for nwc news, nwc scores and more. Crestview senior Damian Helm was chosen as the 2013-14 NWC Player of The Year by Northwest Conference boys’ basketball coaches at the annual selection meeting Monday evening in Delphos. Helm received 117 of a possible 120 points in the coaches’ voting. Helm averaged 15.2 points per game along with 4.5 rebounds and 2.9 assists for the Knights, while shooting 57 percent from the field and 91 percent from the free throw line this year. 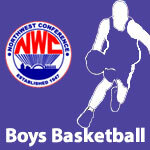 He was joined on the NWC first team by Columbus Grove’s Will Vorhees, Spencerville’s Ben Bowers, Jefferson’s Trey Smith and Lincolnview’s Kyle Williams. The voting procedure called for each coach to vote for the top 15 players on a 15-14-13, etc. point descending scale. No coach could vote for his own players. Coach of the Year honors in the NWC go to Jeremy Best of Crestview. He led the Knights to an 8-0 conference mark and an undefeated regular season at 22-0. Allen East senior Kaycee Rowe was a near unanimous selection choice as 2013-14 NWC Player of The Year in voting by Northwest Conference girls basketball coaches. Rowe received 119 of a possible 120 first place points to earn POY honors over Crestview junior, Lyndsey Motycka (109 points) and Ada junior, Tory Wyss (106 points). Rowe averaged 18.2 points, 8.0 rebounds, 3.5 assists, and 2.6 steals per game in leading the Bulldogs to a 6-2 conference record and second place in the NWC. Rowe, Motycka and Wyss were joined on the NWC First Team by Bluffton senior Sarah Schriner and Columbus Grove junior Sydney McCluer. Greg Rickard, who led Crestview (8-0) to the school’s fifteenth NWC girls basketball title was selected as the NWC Coach of the Year. Crestview finished as the regular season poll champions in Division IV in the final 2014 AP State Boys Basketball State Poll.